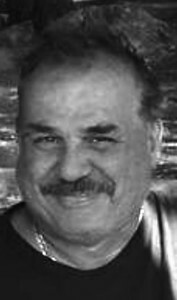 Albert S. Pensa, 61, of Torrington, passed away Sunday, Oct. 28, 2018. Albert was born Oct. 14, 1957, in New Britain, son of the late Albert and Enrica (Gianoncelli) Pensa. He graduated from Plainville High School in 1975. He was a material handler at The Fafnir Bearing Company for 10 years before becoming a property manager. Albert is survived by two brothers, John Pensa and wife, Urszula, of Burlington, and Mark Pensa and wife, Ginger, of East Haddam; nieces and nephews, Michelle, Filip, Joe, Amanda and Dr. Melissa Pensa as well as girlfriend, Cheryl Manrique of Torrington and her daughter, Pamela Gonzalez of Torrington. Funeral Services have been entrusted to Cook Funeral Home and will be private. Posted in New Britain Herald, on Friday, 2 November 2018 21:04. Updated: Friday, 2 November 2018 21:06.